Māori mythology tells a story of a boy who fell into a lake and two taniwha fought over his body. The lashing of their tails broke through the eastern bank forming the Tukituki and Waipawa rivers, draining the lake and leaving in its place the Ruataniwha Plains. Central Hawke’s Bay from coastal Blackhead to the mountains Ruahine – that means ‘wise woman’ referring to the granddaughter of the kaitiaki of the Aotea waka, was an area first settled by people who proudly identify as Ngāti Kahungunu and with Rangitane ancestry. The district is known as Tamatea to iwi. They were joined in the 1840s by farmers from Wairarapa. The pastoralists brought sheep to Hawke’s Bay and Pourerere in 1849. The town of Waipukurau was founded in the 1860s, ahead of Hastings (1873). Now, after more than five years of painful suspense over the proposed water storage scheme, the Ruataniwha is clearly awakened. The CHB economy is roaring. The 2013 census recorded the Central Hawke’s Bay population at 12,717 – 50th of 67 districts. One in five people are Māori. 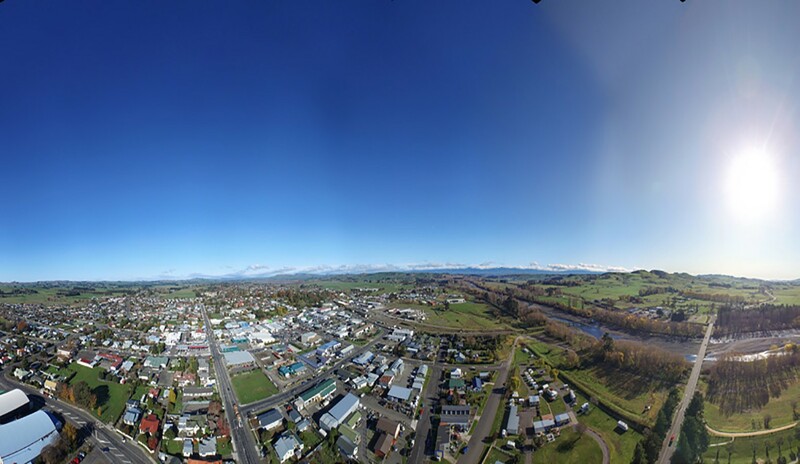 Waipukurau accommodates 3,700 people, almost 30% of the district’s population. Statistics NZ predicts a CHB 2018 population of 13,850 (up 9%). If you bought a house in CHB around January 2014, the four-year average price uplift to early 2018, from $200,000 to $307,000, would represent a value gain of 54%. The market is happily rocking to a very strong beat, with some residential property values almost doubling in five years. CHB residential real estate sales averaged $62.2 million per year for the three years 2014-16. In 2017, transactions jumped to $107 million; an increase of 72%, while transaction numbers increased 50%. All property sales, including commercial-industrial and rural land 2014-16, reflected annually $227 million. This compares to total sales in 2017 of $323 million – an increase of 42%. Real estate transaction numbers in 2017 increased by 48%. People are feeling good and the Ruataniwha Plains and the broader district is doing well. Farming is good, and horticulture is booming. Hawke’s Bay employment rates are high. Increasingly people are choosing to live in Otane, Waipawa, Waipukurau and surrounding districts. Some residents are commuting to work in Hastings and elsewhere. Property analyst and valuer at Turley & Co, Nikki Whelpton, who lives in Central Hawke’s Bay, said her commute to Hastings is “easier than my prior commute from Bronte into central Sydney.” Nikki also says that CHB commuting traffic is increasing. Central Hawke’s Bay townships residential section transactions 2014-16, averaged 34 per year. In 2017 these totalled 77, up 126%, with an average price of $174,000, a total value increase of 114% to $13.4 million. Section numbers for sale have been low. Hundreds of CHB’s potential house sites are not being offered for sale. They possibly have land features or locations that are less favourable or are long-term held by the owners. Chris Skerman and Bill Livingston are developing 26 large residential sections at Otane. Early interest from buyers is said to be surprisingly strong. Chris said: “Central Hawke’s Bay District Council has been very proactive” and is taking the opportunity to improve Otane services. He considers that Otane is attractive because of its affordability and also “people wanting space, and to be part of a community”. Population movement from cities is reasonably new. Chris says that with internet fibre installation underway “you can be as connected as anywhere in the world.” He observes: “Otane is well serviced with a school, dairy, café, sports clubs and has a pub.” A regional NZ resurgence is underway and Central Hawke’s Bay is a beneficiary. Other rural lifestyle developments are increasingly common, including at Porangahau Road near Waipukurau and at Patangata. It is all go for pastoral CHB with an average of 56 farm sales per-year 2014-16. In 2017 there were 85 farm sales, up 52%, with sales values of $171.8 million, up from $123.9 million (an uplift of 39%). Last year 15,806 hectares of farmland changed hands in Central Hawke’s Bay, with an average sale price of $2 million that is similar to 2014-16. The highest value single farm sale in 2017 was $8.025 million for 578 hectares. Rural property sales agent Max Lyver confirms property market confidence is strong with particularly good demand for proven performance farms. He mentioned adjoining farms of 600 hectares amalgamated and sold for $7.1 million. Max says: “Buyers are usually discerning, undertaking extensive due diligence.” He predicts good quality properties that will come into the market in the spring “won’t be enough to satisfy demand”. Construction activity is going through the roof. Central Hawke’s Bay residential building consents in 2017 totalled $20.5 million, a 44% increase on the prior three-year average. All consents, including commercial-industrial and rural building, reflected an uplift of 29% to $22.9 million. CHB is experiencing a residential building boom. As for Hastings and Napier, in 2017 the total consents were $242 million and $135 million respectively, reflecting uplifts of 28% and 40% compared to 2014-16. Hawke’s Bay is a hive of construction activity. Treaty settlements for the Tamatea district are significant. The Central Hawke’s Bay settlements augur well for the district’s people and economy. The CHB property economy is magnificently strong in 2018, notwithstanding the demise of the irrigation scheme that might have been another taniwha altogether. Central Hawke’s Bay has an infectious skip in its step … well-earned for what is a very positive salt-of-the-earth community. The district’s people are significant contributors to the past and future prosperity of Hawke’s Bay.